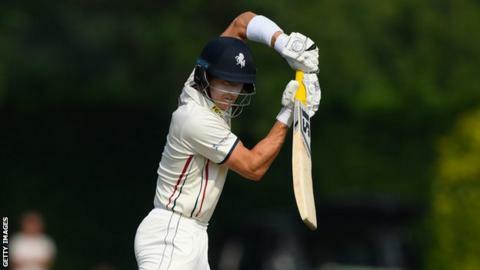 Kent's batsmen continued to find runs easy to come by as the hosts drew with Northamptonshire at Beckenham. Resuming on 528-7 and still needing 33 runs to avoid the follow-on, the visitors were all out for 568, with Yasir Shah (4-165) taking two wickets. Despite their first-innings lead, Kent scored runs at a moderate rate and did not look to force a result. Sean Dickson made 60, while Joe Denly hit an unbeaten 78 as Kent declared on 184-3 to bring the game to a close.